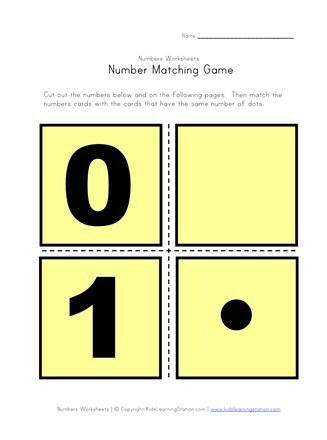 Print out this number matching worksheet and cut out the number cards. 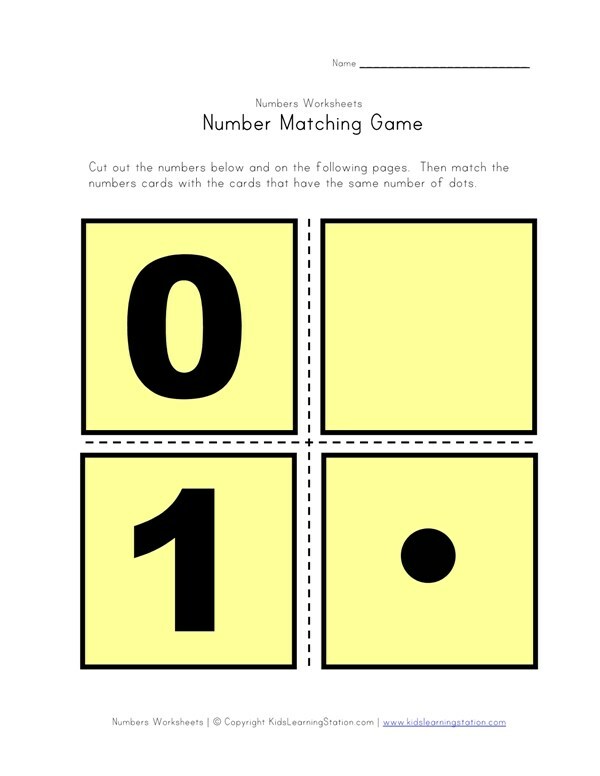 Kids can then play a fun number matching game! There is a card for each number 0-9 with a card that has that number of circles on it. Kids are asked to match the number with the card that has the same number of dots.